Morning Has Broken composed by Traditional. Arranged by Schneiders. For solo instrument (flute, clarinet, oboe, bassoon, alto saxophone, tenor saxophone, horn in F, trumpet, trombone, bass trombone, tuba, or euphonium) and concert band. Swiss import. Light Music / Pop. Grade 3. Score and parts. Published by Editions Marc Reift (MA.EMR-1801). 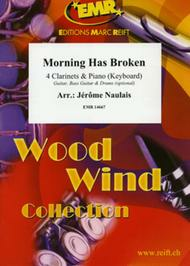 Morning Has Broken arranged by Jerome Naulais. For 4 Clarinets & Piano (Guitar, Bass, Drums optional). Level 2. Published by Editions Marc Reift (MA.EMR-14667). Morning Has Broken (Hymn Tunes of the British Isles). Composed by Penny Rodriguez. For piano. Sacred. Intermediate. Published by Lorenz Publishing Company (LO.70-1591L).Incorporating ten traditional hymn tunes from the British Isles, Penny Rodriguez lends her personal pianistic style to nine fresh settings for the church pianist. Though well crafted and fully realized, these appealing vignettes have an improvisatory nature and allow ample latitude for the performer to apply a personal interpretive imprint. The ultimate result, however, is a musically satisfying presentation of some of the most beloved melodies from the rich heritage of hymnody from Great Britain. Moderately easy to medium difficulty. Morning Has Broken composed by Traditional. Arranged by Tim Rumsey. For Wind Quintet. 21st Century. Early Intermediate. Score only. Tim Rumsey #LM101601. 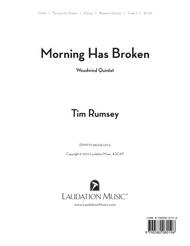 Published by Tim Rumsey (S0.3039).This traditional favorite is set for standard wind quintet in this lush and beautiful arrangement that ends with a glorious climax. Just like a good sunrise!About Digital Print Sheet MusicDigital Print is printable sheet music available anytime, anywhere. Just purchase, print and play! View your online sheet music at home, school, work or anywhere you have a computer connected to the Internet. Use our iPad app to view your digital sheet music on the go. With Digital Print, you can print your digital sheet music immediately after purchase, or wait until its convenient. And our software installation is easy - we'll guide you through the simple steps to make sure you have Adobe Flash Player, Adobe AIR and the Sheet Music Plus AIR application. 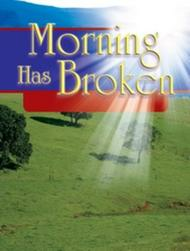 Morning Has Broken composed by Gaelic. Arranged by Ervin Monroe. For flute choir. Classical, Chamber Music. Score and parts. Published by Little Piper (LI.FE-G9).The same beautiful melody as Praise and Thanksgiving but embellished with variations rather than chorale style, sounds great as a quartet of C flutes or as a flute choir using alto and bass flutes: score and parts. Morning Has Broken by Cat Stevens. Arranged by Harry Simeone. For Choral (SATB). 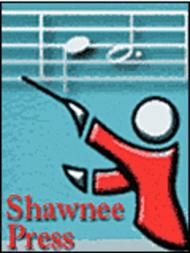 Shawnee Press. Choral, Folk Songs, General Repertory, Sacred. 8 pages. Shawnee Press #A1175. Published by Shawnee Press (HL.35014449). 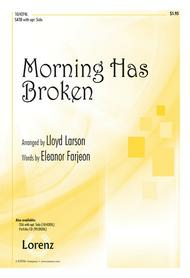 Morning Has Broken composed by Lloyd Larson. For SATB choir, piano (with optional solo). Sacred Anthem, Baptism, Eastertide, General. Octavo. 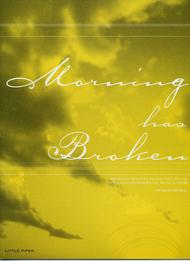 Published by Lorenz Publishing Company (LO.10-4274L).Made popular by Cat Stevens, "Morning Has Broken" reaches new heights in this Lloyd Larson arrangement with a fresh Celtic feel. After a more introspective opening, reflecting a morning bird at dawn, a quicker tempo follows, as if the whole world is waking full of escalating excitement. This selection is a wonderful choice for a school's spring concert or for worship throughout the year! Morning Has Broken by Cat Stevens. For piano, voice, and guitar (chords only). Folk; Pop; Traditional. 4 pages. 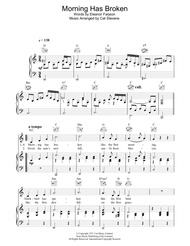 Published by Hal Leonard - Digital Sheet Music (HX.22982).About Digital Print Sheet MusicDigital Print is printable sheet music available anytime, anywhere. Just purchase, print and play! View your online sheet music at home, school, work or anywhere you have a computer connected to the Internet. Use our iPad app to view your digital sheet music on the go. 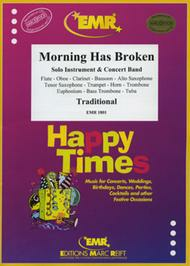 With Digital Print, you can print your digital sheet music immediately after purchase, or wait until its convenient. And our software installation is easy - we'll guide you through the simple steps to make sure you have Adobe Flash Player, Adobe AIR and the Sheet Music Plus AIR application.